TEKHO uses innovative technique to develop commercial fish species. To make sure a healthy and good culture environment for fish, we set a R&D section and members who have professional medical background. Insist safe-breeding and maintain kind environment. TEKHO is the first corporation meets HACCP live bearing fish certification, the vertical integration of up and downstream industries is to maintain the stable partnership between producer and agricultural enterprises, and to create a completed production-marketing internet which can ensure that the ingredients quality is stable and safe, to create a three-way win situation. After years of hard work, TEKHO have won many awards like Industrial Innovation prize of Ministry of Economic Affairs at 2008, 1st Technical Agriculture Industrial Innovation prize at 2009 etc., and listed company at emerging stock market at 2015. We have played the role of leader in the field, heading forward with other agro-industry. TEKHO also reach Aquarium-business, supplies business of hardware-software development and import for peripheral products of aquarium fish. 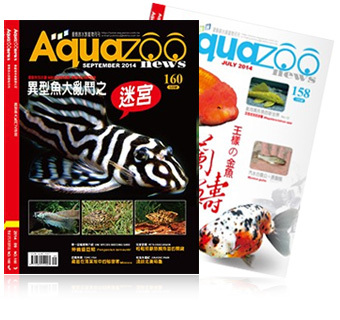 The aquarium book have published in many Chinese language areas. Traditional aquaculture is a industry that lives at the mercy of the elements, if there is any natural disaster, fishermen must effort the cost by themselves. For grouper breeding, it needs more techniques and higher cost than other aquaculture. At the early stage, it costs much more higher cost on larva fish, so if there is any natural disaster, risk management is needed. There are two projects on risk management: Disease and Natural Disaster. In disease respect, we take breeding environment seriously, besides indoor-outdoor sectional breeding, we also introduce scientific techniques to reduce disease incidence rate. In natural disaster respect, we have had the first “aquaculture insurance” of Taiwan, if there is death of insurance subject costs by natural disaster, the insurance company will honor their compensation liability. Grouper fish is treasure to company assets. In spite of the fee of insurance is expensive and the insurance policy is hard to obtain, the insurance brings our business a strong protection. Not because of our enterprise management edges out the living space of individual fishermen, on the contrary we cooperate with them by our techniques. Most of them have good breeding skills but is short of marketing and distribution channel. The collaboration can make both us cover each other, decrease unsaleable products, enlarge the value between both of us, and finally create a win-win situation. TEKHO adopts “data management” to ask every fish farm control water quality, feeding quantity, drugs dropping, growing size, cost calculating etc. in a strict way, in order to reach quantifiable and efficient scientific-management. Although the aquaculture of grouper fish in Taiwan has had complete division of labor and sectional breeding, but due to the small market size and limited resource, it is every difficult to compete with international market. So it is very urgent to make the industry move toward capitalized market. Besides, there are many great aquaculture-techniques and talented people, the key point is how to integrate and develop in right direction. TEKHO, as a new generation of agro-company which is able to do the integration, innovation and R&D devotes all the efforts to industrial capitalization, and also promotes the transparentness of production, trading and finance, attracts more resources and funds by upgrading industry, and make agriculture/aquaculture of Taiwan become better.